Gameloft just released its latest game, Sniper Fury, on Android devices and we have a hack for it. This highly anticipated FPS is set in the near future in which you join an organization called Cellstrike, and your job is to eliminate enemy targets around the globe. The hack we talked about gives the player Unlimited Ammo. Since it's a war game, weapons are a necessity in Sniper Fury (mod). 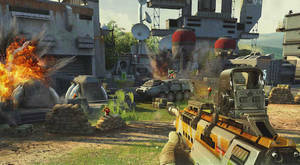 Players can unlock upgrades for their weapons using either free currency (money) or crafting materials. These crafting materials are earned after some missions, and can also be collected by purchasing premium battle crates in the game’s store. 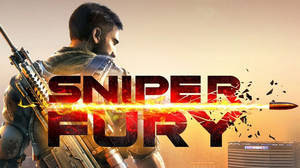 Sniper Fury (mod) features over 130 single and multiplayer missions, set in various hostile terrains, throughout which you must take on ground soldiers, armored vehicles, combat choppers, and other non-friendlies. Install Apk and download data files in-game. Don't forget to comment if you face any problems with this mod or any other on APKTRON.